We have Level 1 and Level 2 Referee courses scheduled for Sept 17th in Sebastian at Sebastian River High School. Course fee is $60 and registration closes before the event. 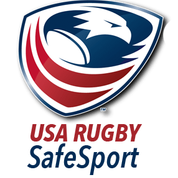 You need to complete USA Rugby’s Player Protection Package (PPP) as well as the Laws of the Game and Rugby Ready certifications from World Rugby – these are available on the registration links below. Registration closes August 24 and is limited to the first 20 registrants. You must be a member of USA Rugby to register. Cost is $110 for the course. 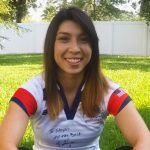 It is with great enthusiasm the Florida Rugby Union and 7’s High Performance Program wish Stephanie Browne the best of luck on her invitation to the Rugby Women’s 7s Academy Camp June 15-June 19 at the Olympic Training Center in Chula Vista, CA. The 2016 USA Women’s Olympic team will be chosen from this camp and we look forward to Stephanie performing like she did in Las Vegas Invitations against France & Japan. Those efforts earned her this opportunity and the FRU HPP program will continue to provide venues like this for our Florida rugby athletes to showcase their abilities. We have had three great social tournaments. Now we are about to begin the three tournament qualification series. 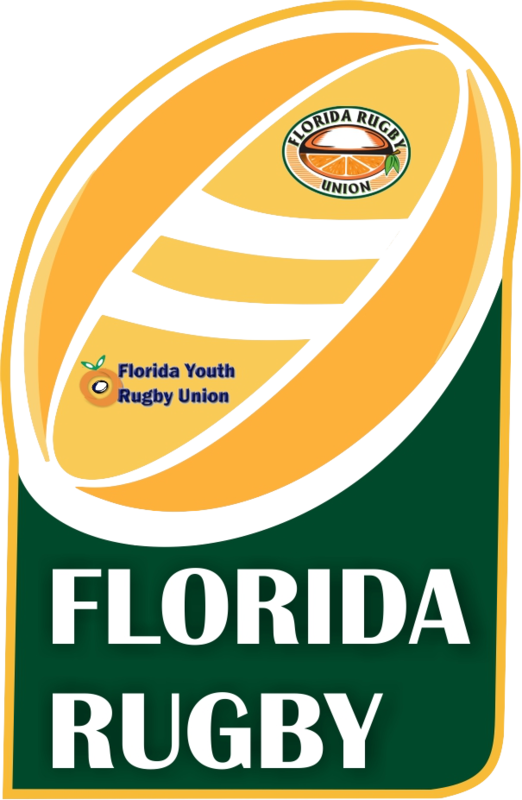 Click here to view a document that details on the Florida 7s Series and how the subsequent National Qualification process will work. Please read it carefully so can fully understand what your requirements are as a team wishing to earn one of the two Florida seeds to the South Qualification Tournament on July 23rd. The document has been created to help guide you through the eligibility and qualification process. We are here to help you, we are not out to try and catch you in technicality we want to ensure that we can get all of your players eligible if you advance onto the South Tournament and hopefully Nationals in Denver. If your team is wishing to be a qualifying team you need to ensure all of your players are appearing your teams USA Rugby Online Roster. If a player is not on your roster and you wish for them to be eligible play on your qualifying team you need to have them complete the USA Rugby Transfer process. Please note this process can take up to a week or more to complete. Please have your effected players do this ASAP ensure no issues come first tournament next weekend. There are two methods to completing the transfer process. Have you player log into their account on the USA Rugby registration system. They can do that by clicking here. Once they logged in, please find the tab of left hand side that says “Change Club Affiliation” it is at top under Member Area. Follow the instructions to complete the transfer. If player is transferring from outside of the FRU they will have pay $15 membership fee to USA Rugby for the transfer to be complete. Once completed you will have to your old club write a email to USA Rugby stating that you have been released. USA Rugby will guide you in this process. If you have any issues at with player transfers please contact, Justin Holshuh at USA Rugby his number is 303.539.0300 extension 110. Please do not wait until Friday before the tournament to try and solve transfer issues. We can also help as well. The final deadline for transfers is July 1st. Players must be transferred before then and/or before they participate in a Qualifying Tournament. Below is a list (both Men & Women) who have told us that they wish compete for one of the two Florida seeds for the South Qualifier. If you are not on this list and you wish to be on this list please let us know ASAP or if you are on this list and you no longer wish to be on it please also let us know. We still need to exact clarification on team paperwork requirements from USA Rugby and the South Conference Directors. Once we have that we will disburse that to all of the qualifying teams. At the moment we want all teams focusing on ensuring that all their players are correctly rostered. As you can see we have 13 teams total to help with please do not delay in this process. To help us better prepare for the 2016/17 season, we are requesting each Men’s Club complete this short survey this is your way to help shape what the future direction of the league season may be. Each club is only allowed to complete the survey once. All surveys we ask that clubs complete this by midnight on Monday June 13th so we have enough time to process them and build a plan. We will then have a conference call on Tuesday June 21st to initially discuss possible options for the 2016/17 season. This conference call will help reduce time spent discussing league play at the AGM. 6. The Union shall consider any new business (including agenda items submitted by members). We need FRU clubs to vote for Congress Representation using the following link . This page has more information on the election as well. Bay Area Pelicans is hosting Gulf Coast 7s May 21st, 2016 at the Lakewood Sports Complex, 2001 Country Club Way S., St. Petersburg, FL 33712. Includes: Men’s, Women’s and U19 Open Division. Registration deadline May 19th. Click here for details on how to register. TALLAHASSEE – More than 350 skaters will lace up their skates and 14 rugby teams will toss around the distinctly-shaped oval ball to compete for gold, silver and bronze medals in a variety of skill levels at the 2016 Sunshine State Games Broward Festival beginning Friday, May 13. The Dorothy Dodson Award for Figure Skating Excellence will be presented at the end of the competition to the skater with the highest combined score in the Intermediate Ladies Free Skating and Short Program event. Last year’s winner for the Dorothy Dodson Award, named after veteran Figure Skating Judge, Dorothy Dodson, was Paxton James, from Estero, FL, who is also registered for the 2016 SSG Figure Skating Championships. Upon her success, James went on to compete in the 2016 South Atlantic Regional Championships where she won the Ladies Intermediate Skating division. The Elizabeth “Betty” Stark award will recognize the Juvenile skater the highest score in the Juvenile Girls Free Skate. The 2016 Championships mark Stark’s 30th anniversary as the SSG Figure Skating Sports Director. This will be the second year that this award will be presented. As in many Sunshine State Games events, there will be a wide age range in this year’s Figure Skating Championships. While youngest competitor Olivia Weiss, 4, from Parkland, FL will be celebrating her birthday Friday, May 13th as she competes in the basic program event, 80-year-old husband and wife, Beverly and Jack Rienks from Englewood, FL will be competing in the Adult Couples Dance. The 2016 SSG Rugby Championships features 14 teams in three divisions, Boy’s High School and Men’s and Women’s Open. All rugby competition will be held Saturday at Brian Piccolo Park with matches beginning at 10:30 a.m. The SSG Figure Skating Championships at the Panthers IceDen is free and open to the public during the more than 24 hours of events. Volunteers are needed for a variety of jobs at the Panthers IceDen, visitwww.sunshinestategames.com and click on the Volunteer tab. The Sunshine State Games high season will continue for seven out of the eight next weekends until June 26, 2016. There are a total of 10,000 athletes that are registered for this year’s state games. 28 sports are being offered and competitions will take place in 10 Florida communities. SSG held the Dominos Championship in February and the Artistic Roller Skating in March. Results of these two competitions are posted atwww.sunshinestategames.com. Saturday, May 14, 2016 – 10:30 a.m. – 6:00 p.m. The Sunshine State Games are an annual Olympic-style Sports Festival, presented by the Florida Sports Foundation, for Florida amateur athletes of all ages. The 2016 Broward County Festival is being held in conjunction with Broward County Sports Development. For more information about the 2016 Sunshine State Games you can visit www.sunshinestategames.com.